Most of us who are scrapbookers love holidays, and Valentine’s Day is no exception. This a great time to break out any new ideas you want to try when crafting pages about love, memories, and relationships. I also like doing scrapbook pages for Valentines Day because it is a good excuse for me to hook up with fellow scrapbookers and pool any ideas we may have for creating the perfect pages for the holiday. #1 Pick a fun scrapbook page title. Valentines day isn’t just about making a page that is about you and your sweetie. You may have relatives, or children that you like to remember on Valentines day and picking a title for each Valentines page can be one way to do this. For example, you might choose an "I Love Dad" title or a "My Cute Valentine" title with relation to your son or daughter. Whatever titles you pick, there are more than just a few for Valentines day. #2 Create a scrapbook page that is vintage styled. If you’ve ever seen those valentines that seem as though they are from the Victorian era, you know what I mean. 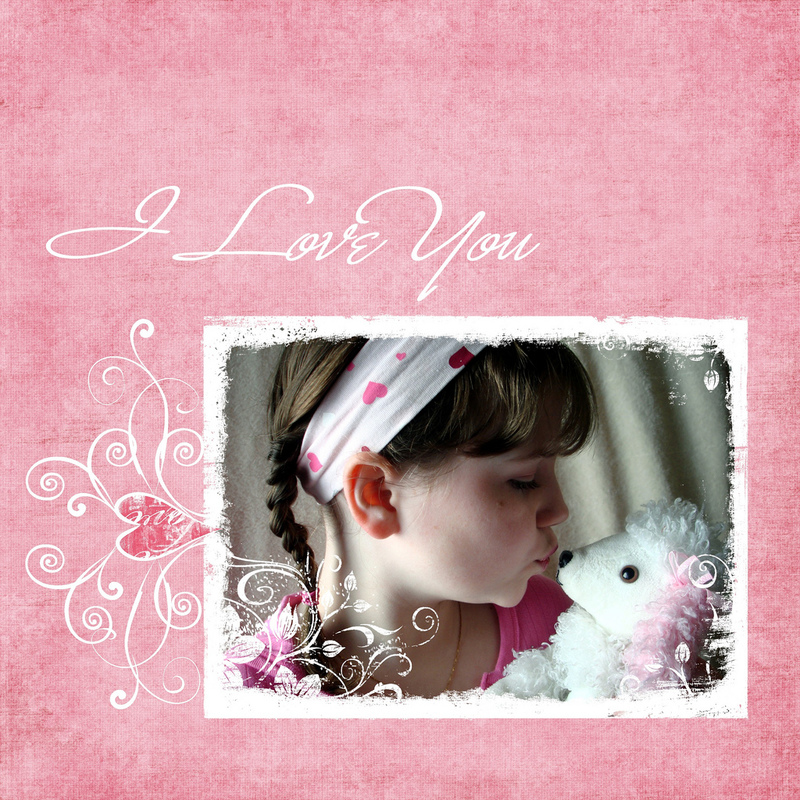 Creating a Valentine’s Day scrapbook page with images from the Victorian or Edwardian era is one way to create a beautiful scrapbook page. This can be a wonderful family project. You can make it yourself, or help your child make the pocket page. 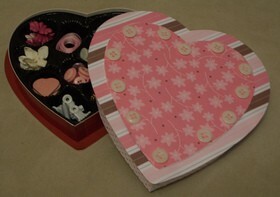 This will allow your child to hang onto all those Valentines received at school. You can incorporate them into your scrapbook with a pocket page! This makes the scrapbook page a great keepsake. #4 Use a small heart punch or a heart stamp on your page. Create groups of little hearts in the corners of your scrapbook layout, or place them at the edges of the mats you’ll be using around your photos. 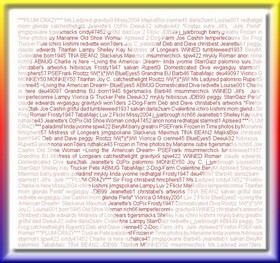 This is a nice way to do something creative with those hearts! #5 Photograph your Valentine’s Day gifts. This is a nice way to remember what you got for Valentines day, and this can be especially important if it is a food item because once you eat it, it’s gone! Also, mixing and matching these photos with photos of you and your loved one, whether that’s your husband, your child, or your brother can make for some interesting themed pages for your Valentines day scrapbook page. #6 Use old photos in your Valentines layout as well. This is definitely a good idea if you don’t have any pictures taken on Valentine’s Day, but even if you do, it’s still fun to mix in some old photos with the new photos. Try to find romantic pictures of you and your loved one (or whoever else the page is centered around). Look for photos of kissing, hugging, or anything else that is romantic. #7 Decorate your scrapbook page with old Valentine’s Day cards. If you’ve held onto older Valentine cards, you can use them as is. Or, you can cut them up — using both the artwork and the writing inside in different places to give your scrapbook page a unique look. #8 Use Valentine’s Day gift wrapping paper as a background for your page. A Valentine’s Day page comes to life this way — whether you do this with the entire scrapbook page, or just use a scrap of wrapping paper in your design. I really like this idea. And if you’re careful undoing the wrapping paper from a gift you’ve just received, you can usually get a good sized piece to use for this purpose. #9 Journal about what Valentines day means to you. other idea is to use copies of old love letters instead of journaling from scratch. #10 Use rubber stamps or punches that have roses or hearts on them. Use these to stamp around the edges of your mats, or photos. Or, you could use the rubber stamps to stamp plain paper that you are going to use as your background. Making scrapbook pages for Valentines day is one of my favorite pastimes because there is so much you can do with a page. The ideas really are endless!